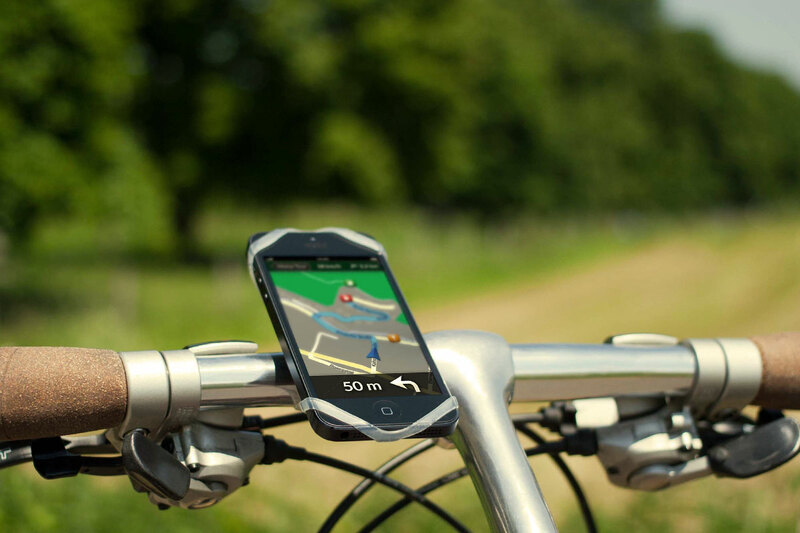 Explore the best bike tours in your area and let yourself be guided to your destination. 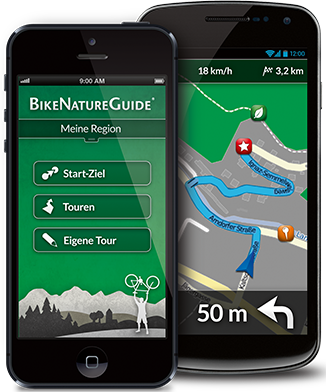 BikeNatureGuide is a bike app for smartphones that is specially designed for cycling in rural areas. 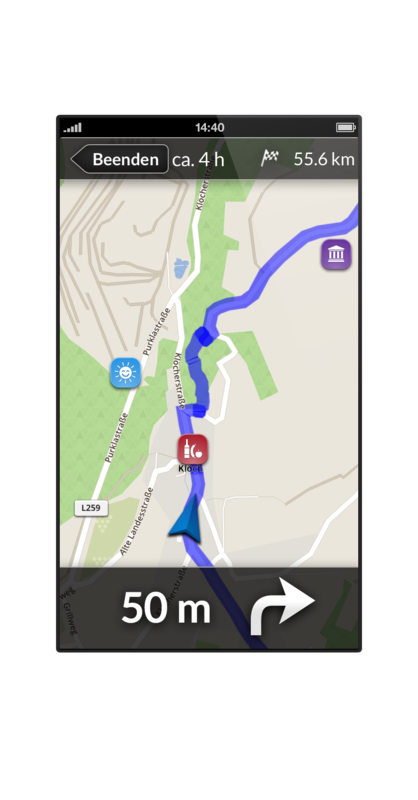 Plan your daily cycle route, create a tour or select a pre-defined bike tour. 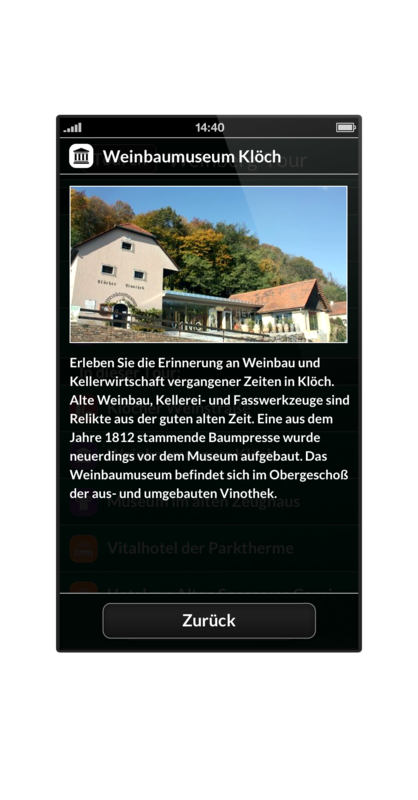 Get information about restaurants and points of interest during your ride. 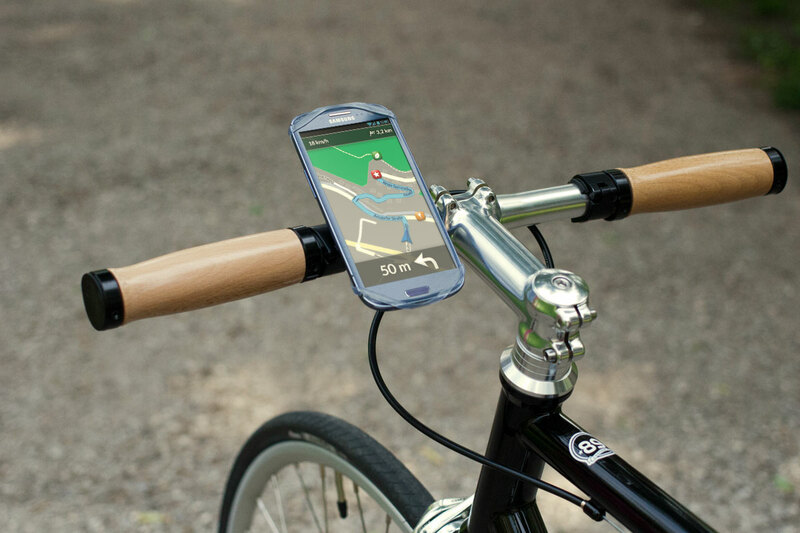 The route planner especially designed for cycling avoids busy streets and precise voice prompts guide you safely to your destination. 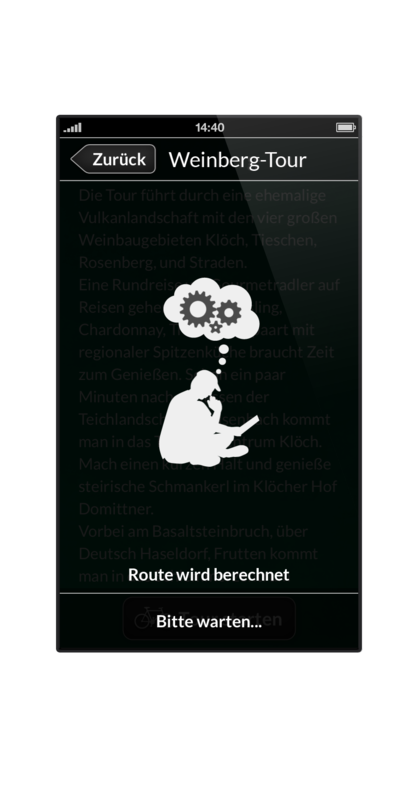 Not only the map but also the route planner work entirely without an active data connection. Choose your prefered underground - be it a paved street or a forest track. The hight profile is also shown. Discover the most beautiful cycle paths in your region. 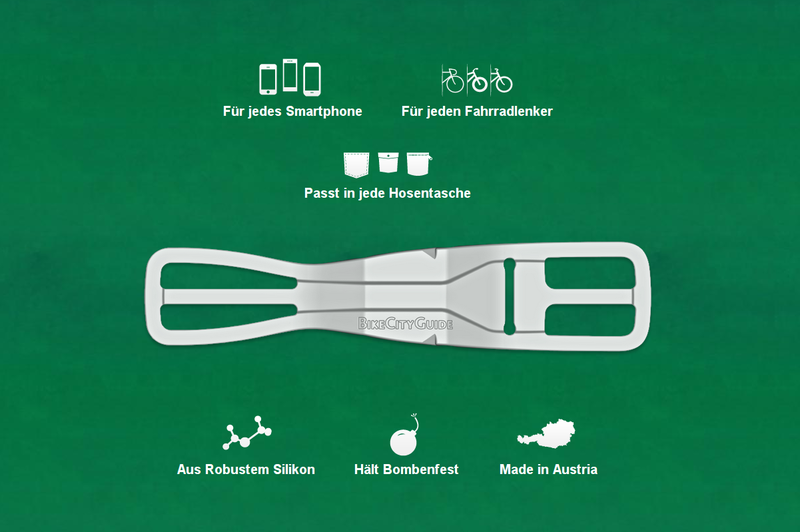 Mixed forests and small rivulets border your way on almost every bike route in Styria, the so called “Grüne Mark”. On your way with the bike to the hot springs in the south you pass by at romantic villages, vineyards and apple trees. 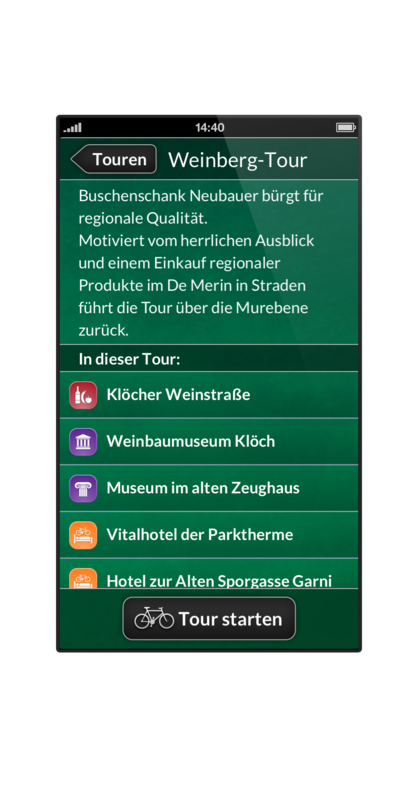 Everybody who has a passion for cycling will enjoy the unique atmosphere of Styria whilst tasting outstanding food and wine. 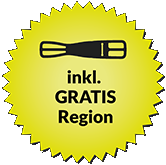 FOR FREE! Wheter you are into cultural activities, travel with your family or prefer a spare moment for yourself; whatever pleasures can be found in Lower Austria. At least once in life you should cycle through the famous forested highlands, the Vienna woods, and conclude a bike tour with a romantic picnic in the Mostviertel orchards. Numerous cycle paths all over Carinthia lead to more than 200 beautiful lakes. Cosy places invite to relax and enjoy the stunning mountains backdropping. In Carinthia Italian flair meets Austrian cosiness. Explore idyllic villages and savour the culinary delights of the region! From a relaxing trip to a sportive challenge; everything is to be found in the most western province. Vorarlberg is famous for its diverse countryside. It is up to you whether you choose a pleasant cycle route around Lake Constance or a more demanding panoramic route leading to the very peaks of impressive mountains. FOR FREE! 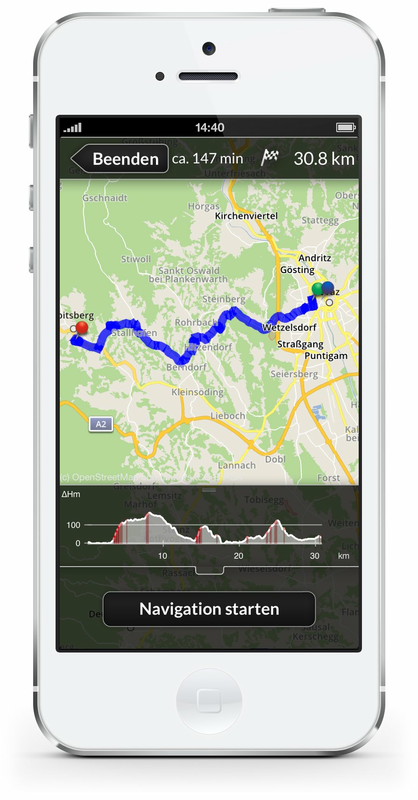 In Upper Austria you can explore lots of lakes and valleys by bike. Amongst the most popular bicycle routes is the Danube cycle route, which follows the Austro-Bavarian border, and the “Ennsradweg”, which has an astonishing landscape. Families will find entertainment on the cycle path following the Roman roads. Enjoy a pleasant bike ride in the flat plains in the north of Burgenland where it seems that time does not exist at all. Soft green hills in the south offer picturesque views. It is the variety that makes this province so enjoyable. Nobody shall starve during their bike tour; local restaurants offer traditional Austrian delicacies influenced by the Austro-Hungarian Empire. Salzburg is not only hometown of Mozart but also a province worth to be discovered. Approximately 1000 kilometres of cycling paths are lying ahead of you; you will explore protected areas as well as numerous places of interest whilst passing by peaceful forests and spectacular lakes. Tyrol is famous for well-shaped calves not only due to hiking. If you are hooked on mountain cycling your private little paradise is awaiting you in Tyrol. Not yours? Than the cycle path along the river Inn is probably the right choice, as it is one of the longest and most pleasant cycle paths for families in Europe. In summer you may also jump into one of the numerous refreshing lakes. The tripoint Lake Constance is one of the most popular cycling regions in Europe. The path around the Lake covers a distance of 273 km and comes across famous towns like Constance, Bregenz and Lindau. Stunning views are to be expected: the beautiful lake is shining in front of breathtaking mountains. You look for more adventure? Go for the heartland which is equally beautiful. 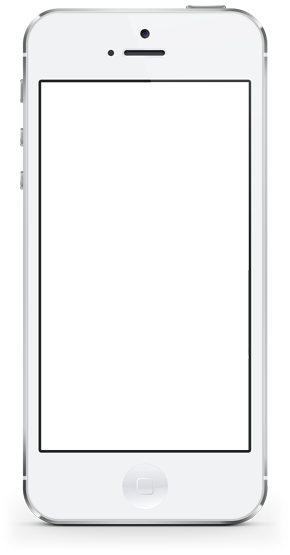 The practical addition to the app. 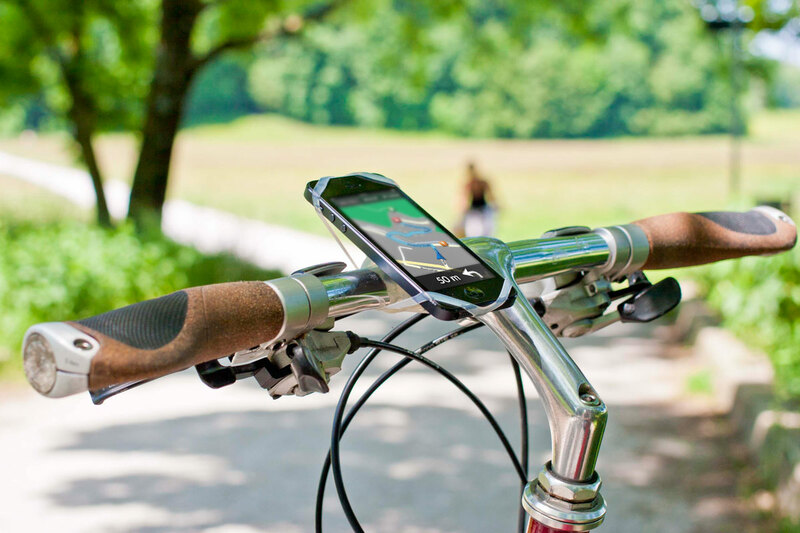 The universal smartphone mount Finn and the BikeNatureGuide app turn your mobile device into a bicycle navigation system. 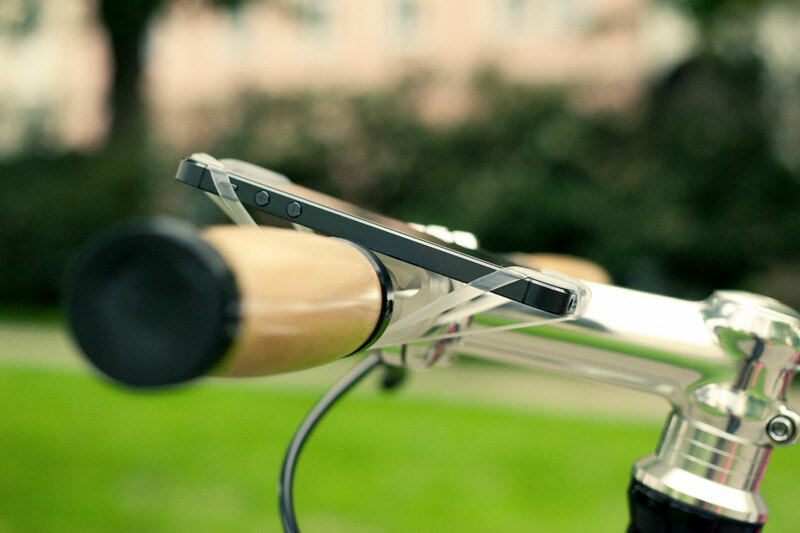 The installation of the Finn mount is as simple as it is ingenious. That's how you install it!